The patterns runs from 12 months to a 13/14. I love this because Maddie wears a 9/10 and we can still get a couple more years of this pattern for her. You can do the simple unlined version, lined version or the reversible version that I went with. It has inset pocket with the option for piping as well. The main side of Maddie skirt is a denim with little white hearts in it and a horse applique that I added using my new embroidery machine. :) I used a bright pink polka-dot material for the pockets for a nice contrast. The reverse side does not include pockets but the seams are fully enclosed and the finish is awesome. 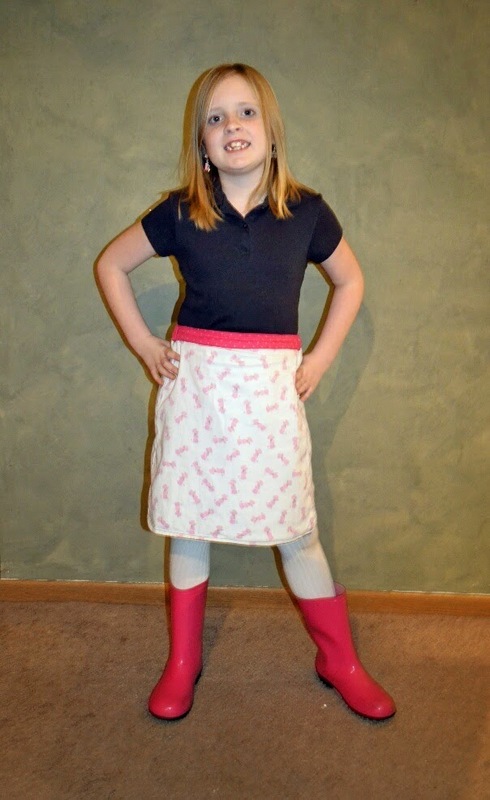 I used the pink from the pockets as the waistband so that it would add a little color. This side is a white lightweight corduroy with little pink poodles all over it. 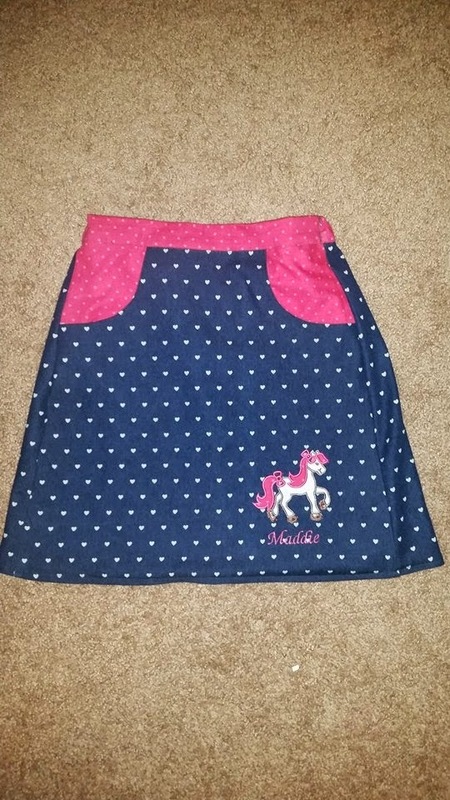 This is a closeup of the skirt and the horse design. Maddie actually cut all the pieces out for me and watched while I stitched the design. 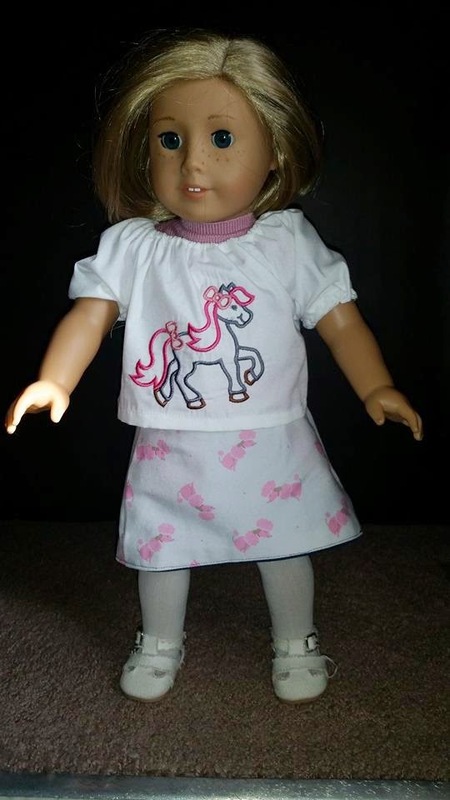 She was sew excited that she cut all the doll pieces out as well and stitched the horse on the doll top all by herself. I only helped with threading the machine a couple times. Proud mommy moment for sure. 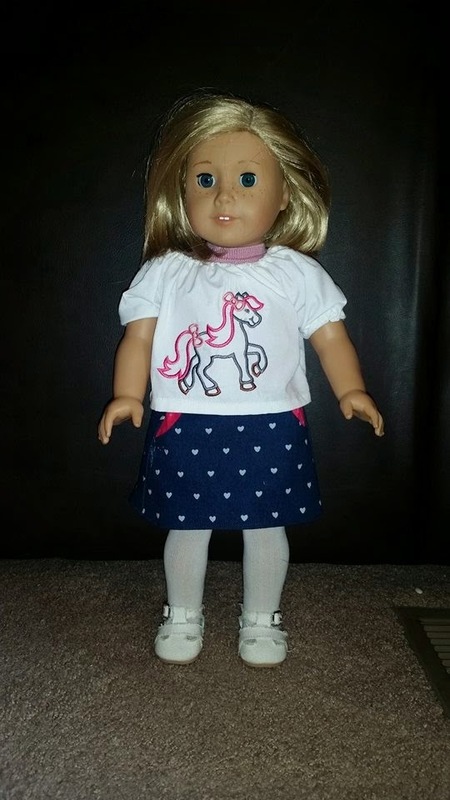 The doll version comes a set with a peasant style top and the same options for the skirt. 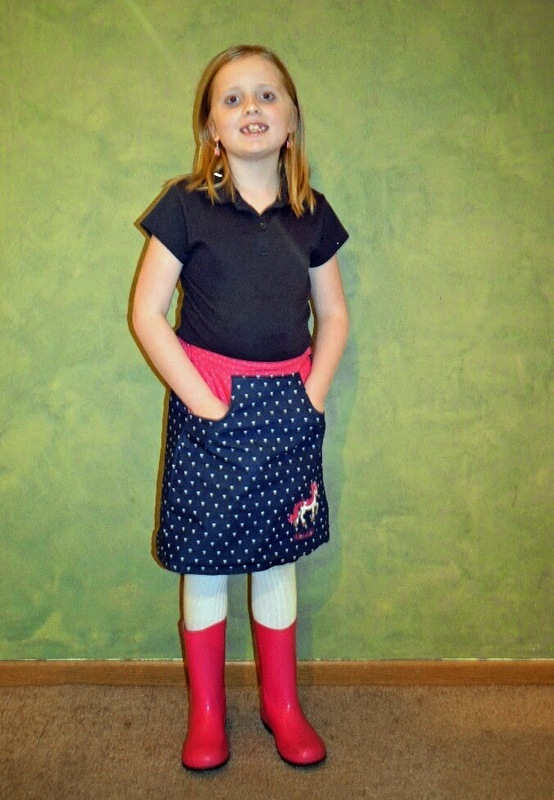 We went with a fully reversible skirt to match Maddie's version. The fit was perfect for Miss Kit. Are you planning on bundling up? What pattern are you most excited for? Adorable. Love the horse you added to the skirt, love the versatility as well. How sweet that 1. Maddie wanted to be involved with her dolls outfit and 2. you embraced that and let her!